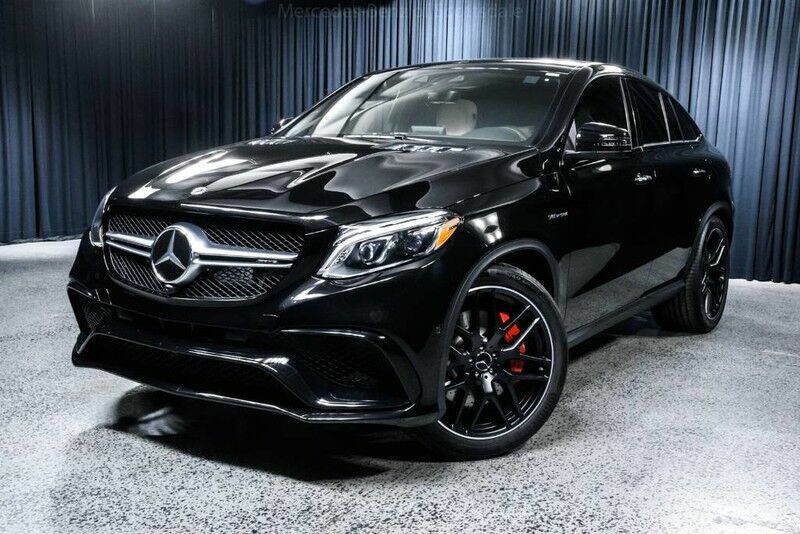 This 2019 Mercedes-Benz GLE AMG GLE 63 S 4MATIC Coupe is offered to you for sale by Mercedes-Benz of Scottsdale. This Mercedes-Benz includes: NIGHT PACKAGE AMG PERFORMANCE STEERING WHEEL W/DINAMICA INSERTS Leather Steering Wheel TRAILER HITCH Tow Hitch *Note - For third party subscriptions or services, please contact the dealer for more information. * This SUV gives you versatility, style and comfort all in one vehicle. You appreciate the finer things in life, the vehicle you drive should not be the exception. Style, performance, sophistication is in a class of its own with this stunning Mercedes-Benz GLE. Few vehicles can match the safety and comfort of this AWD Mercedes-Benz GLE AMG GLE 63 S 4MATIC Coupe. With enhanced performance, refined interior and exceptional fuel efficiency, this AWD Mercedes-Benz is in a class of its own. Intricately stitched leather and ergonomic design seats are among the details in which test drivers say that Mercedes-Benz GLE is in a league of its own This Mercedes-Benz GLE is equipped with navigation, so you no longer have to wonder if you're headed in the right direction. This 2019 Mercedes-Benz GLE AMG GLE 63 S is proudly offered by Mercedes-Benz of Scottsdale Want more room? Want more style? This Mercedes-Benz GLE is the vehicle for you. You deserve a vehicle designed for higher expectations. This Mercedes-Benz GLE delivers with a luxurious, well-appointed interior and world-class engineering. Enjoy safety and stability with this all-wheel drive vehicle and drive with confidence in any condition. The Mercedes-Benz GLE AMG GLE 63 S will provide you with everything you have always wanted in a car -- Quality, Reliability, and Character.